Ep.2 Outpost: Tess beats JT at firemaking, receives an idol clue, then is persuaded to share it with him. 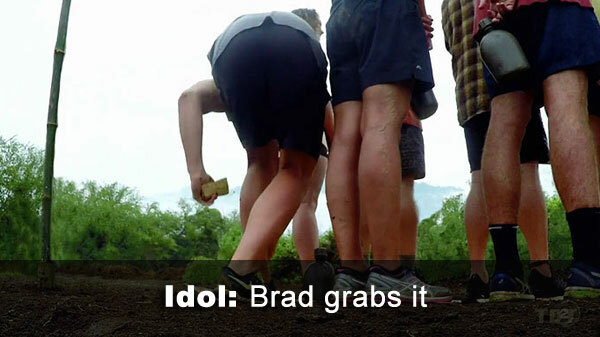 Ep.2 idol: Brad nabs one under the Khang Khaw mat. Apparently undetected? 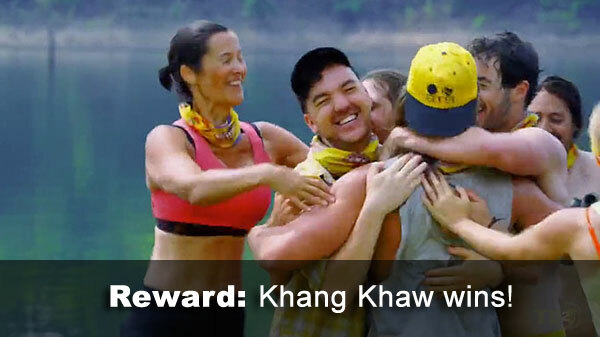 Ep.2 Immunity challenge: "Shoulder the Load" - Khang Khaw's three (Brad, Josh, Kaysha) all outlast Chani. Ep.2 voted out: Karla, 7-1 over Liam. Notes: Outpost challenges will be scored as duels were last season. (So is Redemption Island *really* gone?) That is, they count as half an individual challenge win. Since different people have to attend each time, it'll be a while before anyone attends more than once, so we won't track them in the tables below until then. But so far: Half-win for Tess. Also: Kudos to JT for keeping Chani's winless streak intact! 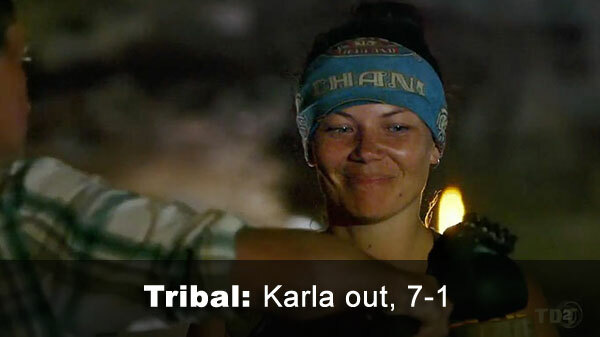 - Karla received 7 votes, from Arun, Dave, Eve, Franky, JT, Liam, and Renee (voted out, 7-1). - Liam received 1 vote, from Karla.